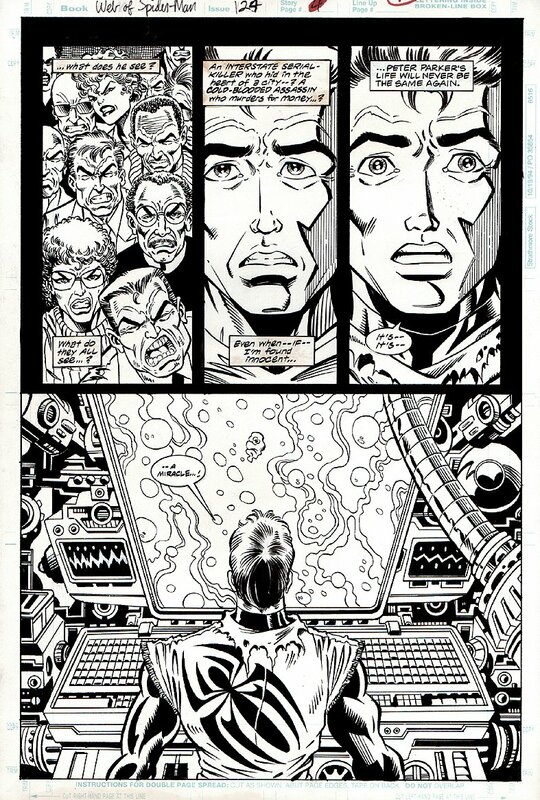 Just a cool 1995 Web Of Spider-Man page that Steven Butler penciled, and the great Randy Emberlin inked! Spider-Man CLONE saga artwork is VERY sought after in the hobby, and this page has been in 1 collection since 1996! Amazing Spider-Man #365 p 24 SPLASH (1992) SOLD SOLD SOLD! Page: 34 (1991) SOLD SOLD SOLD! Amazing Spiderman #344 p 17 SPLASH (1990) SOLD SOLD SOLD!